Drawing showing a cross-section and elevation of a design for Northampton Town Hall. 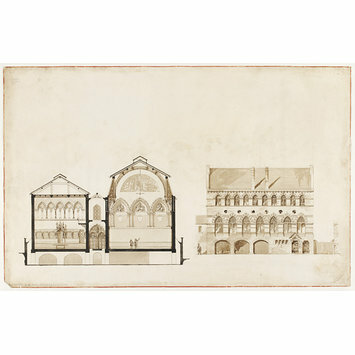 Design for Northampton Town Hall (1 of 47 sheets), with a plan of the building. 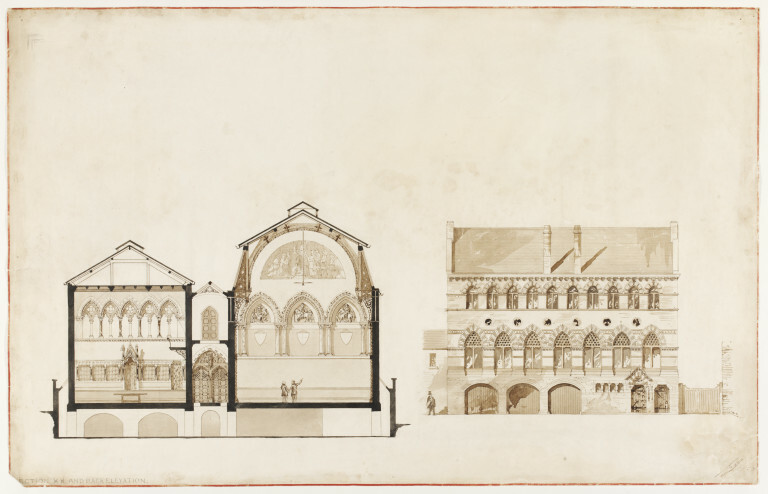 Pen and ink, wash and pencil drawing by Edward William Godwin, 1860.